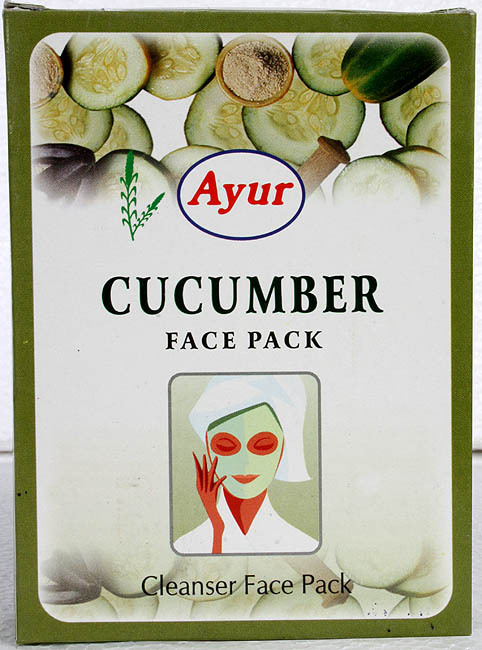 Ingredients: Cucumber Face Pack contains cucumber seed powder mixed with natural ingredients like Multani Mitti, Calamine Powder and Kaolin Powder. Method: Mix I table spoon of Cucumber Face Pack with water or “Ayur” Rose Water to make a paste. Apply it evenly on face and neck. Allow it to dry. Wash the face with cold water. Effect: Cucumber is a natural cleanser and moisturizer which cools and nourishes the skin in one step. It removes the dead skin cells and is effective for dark circles around eye area.